If you are a marketer then you must be knowing the importance of leads. After all, our work is to get lead and convert that lead into sale…right? But how easy to get that lead? If you’ll ask me honestly it is very tough. After all, we have to provide a genuine and solid reason to someone to get a lead and again to convert that lead into a sale. But in recent time, many tools have emerged and those have really made our work easy. Though still we have to provide each and everything but the conversion rate has increased with the help of such tools. GetResponse is one such tool which helps you to manage your entire internet marketing lead generation with their products like Email Marketing tool, webinar, landing page Solution, auto responders and few more. It really provides awesome features and solutions which make your job damn easy and helps you to automate your work in almost NO TIME. Let me talk about the features of GetResponse before going into the pricing and other stuff. GetResponse is considered as one of the top marketing tools and is recommended by many top internet marketers like Neil Patel, Pat Fin etc. Below are some of the best features those I liked. This is the best thing that I liked about GetResponse. Although you will find this feature on another tool as well but the kind of delivery and customization I found with GetResponse is really awesome. Whenever someone subscribe to your website/blog/course, instantly something whichever you have set up will get delivered to their Inbox. Here you can either send the complete file or can send the download link. Believe me, the delivery time is really quick. 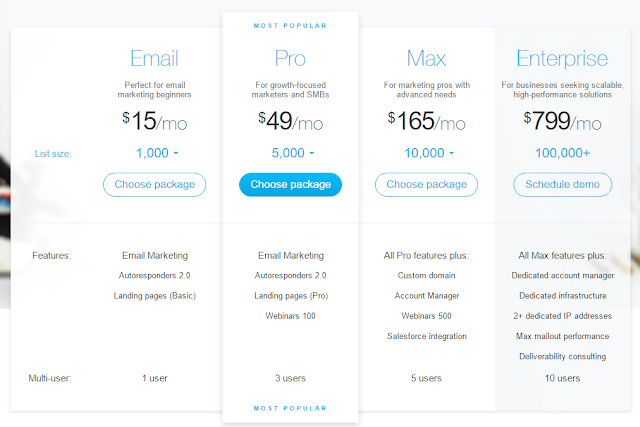 When companies just charge $100-$200 just to create a landing page, GetResponse giving you this facility just by paying $15 per month extra which is very cost effective. You can design great and eye catchy landing page which will convert like a skyrocket. Their hundreds of pre-designed themes will help you to design your desired landing page quickly and the best thing is those are highly customizable. 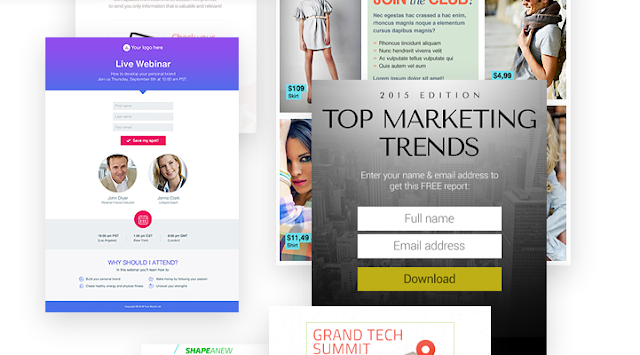 You can also make use of hundreds of HD images from their library to give the landing page some extra boost and flavor. GetResponse has recently made their presence in this segment and growing very quickly. Now a day webinars are very productive and quick way to build links and so many marketers are trying this out. Last year I received a mail from John Chow and Zack Johnson, world’s leading marketers about a webinar which will teach how to earn thousands from the affiliate per month. I desperately waited till 2 AM IST to attend that webinar just to learn what they are selling. Ultimately these top bloggers will not just spend hours as it is and really I was impressed with the way they were selling Zack’s Blogging course. So this method is really a quick way to build your email list and convert those list again and again. Ultimately those are highly targeted. 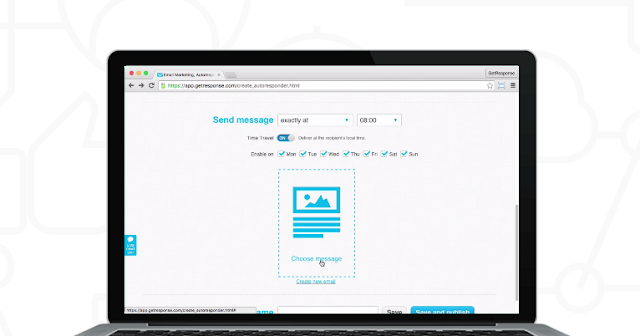 So now GetResponse allow you to host webinars on their platform at the cheap rate. When companies like GoToMeetings charge $199 per month to host a webinar for a crowd up to 500, GetResponse just charges $165 per month for the attendees up to 25000. Still, GetResponse is in the building stage and if you are looking to organize the webinar at the very high level, I would advise you to go with WebEx which is considered as the leader in the segment. 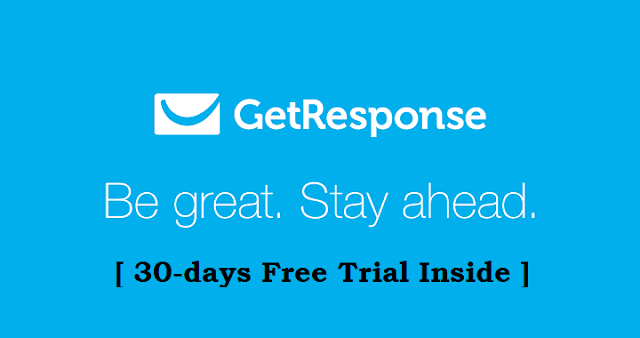 GetResponse is a complete email marketing solution providing lots of features like Email Archive, Follow up messages, Image gallery, form builder and many other such features. 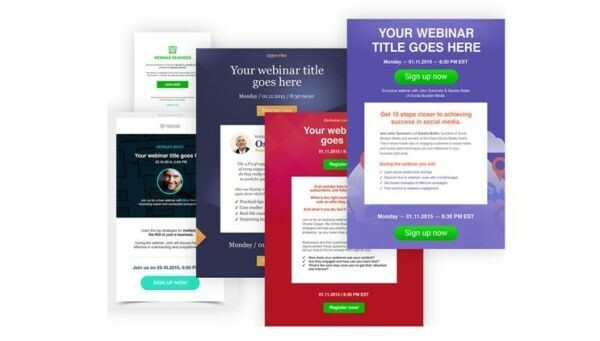 You can create a good looking email collector tool which will attract your visitor to subscribe. You can include links, audio, texts and video into your email marketing pieces. It allows you to do split testing and so you can experiment and decide which best for you. Also, with the help of this tool, you can host online surveys and can manage those easily. This was all about the features of GetResponse. Apart from all these, you will also get the following with GetResponse. GetResponse provides these service at a very competitive price. So depending on the number of your subscribers, you can select the plan which suits you better. As I mentioned above, GetResponse is one of the top email marketing solutions providing wide ranges of online marketing solutions. The prices are also very competitive and offer 30 days of free trial as well. Though not providing any free plan but if you are serious about email marketing, you should try this. Which tool do you use for your marketing needs?